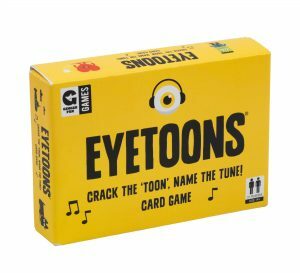 Put your musical knowledge to the test in this fun family card game. Go head-to-head to see who can identify the musical artist and song from the cartoon on the card. The Boys Say:Crack the ‘toon’, name the tune! Tags: eyetoons, eyetoons card game.